Although I saw him race at Ascot, I never met Paul Jones, but word of his passing came to me from his Grandson Ronnie Gilman, along with an article written from a local sportswriter. I have plagiarized the article to pass on some of his exploits. I invited Paul to a Wagsdash several years ago at Ventura, but his horse racing kept him too busy, he told me, to be able to make it. He was very taken back by my invite and I later heard he didn’t go to the races anymore. His record was stellar and I remember some stories about Paul that Bruce Bromme Sr. told me years ago as he was explaining Dean Thompson’s predecessor. Here is the shortened story of the man who won 20 CRA features and many more unsanctioned races along the way. He is tied for 27th on the all time list with Ned Spath, Allen Heath, Tony Simon and J J Yeley. 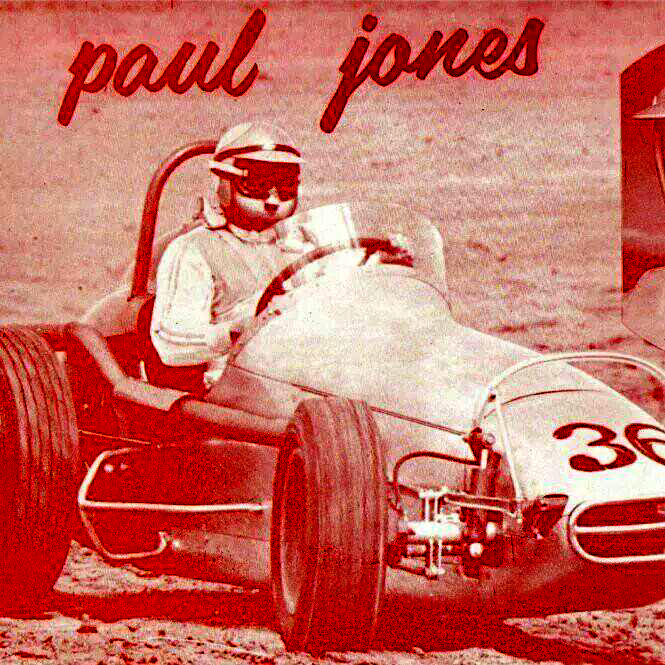 Paul Jones, a winning CRA sprint car driver in the 1960s-70s, died from heart failure on Tuesday, May 14. Survivors include a son and daughter in addition to his widow Joyce. Born on April 6, 1938, the 64-year old former racer underwent heart bypass surgery during 1988, the year he quit smoking. Paul is the younger brother of 1963 Indianapolis 500 winner Parnelli Jones. 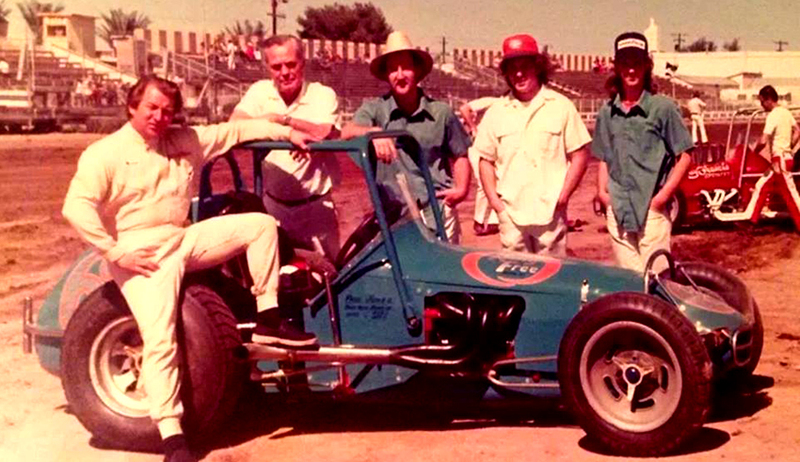 Looking back at Paul's sprint car racing career with the California Racing Association he started his CRA driving career in 1961. Paul raced with CRA from 1961 to 1974 when he retired and began his next passion-raising and racing pigeons and quarter horses at his spread in Norco. His son, Paul, Jr, followed him in those pursuits and also trains quarter horses for racing at Los Alamitos Race Track in Los Alamitos, near Long Beach. Although Paul never won a CRA driving championship he was one of the most respected drivers of his era. He finished second in final CRA points twice. His CRA career totals show 20 main event victories, 12 trophy dash triumphs and 15 fast qualifying times. He also raced in USAC sprint car events each year when that organization sanctioned two races in October or November at Ascot Park in Gardena, home track of CRA teams. 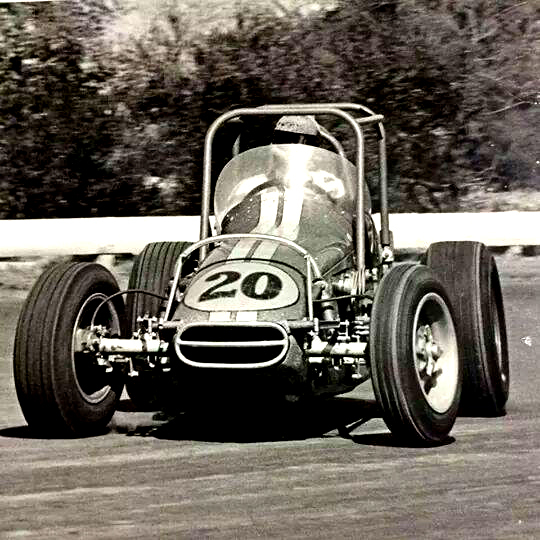 Paul finished sixth in both of the 1968 USAC features at Ascot. Paul finished in the top ten in final CRA driver point standings for ten consecutive seasons (1964-73). His CRA record shows Paul finished fifth in 1964, second in '65, fourth in '66, ninth in '67, tenth in '68, tenth again in '69, eighth in '70, second in '71, eighth in '72 and seventh in 1973. 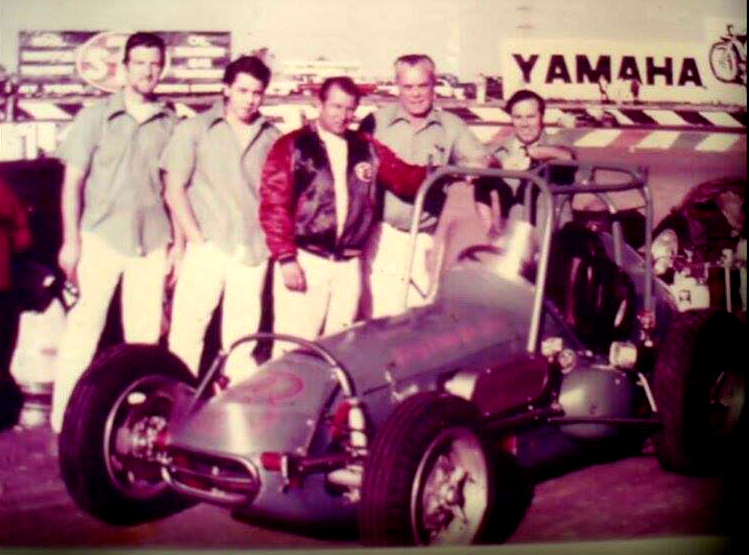 Career Highlights: Paul won his first CRA sprint car main event on May 16, 1964 in a 30-lap race aboard the No.2 C. B. "Pop" Miller Chevy. He won his second feature on July 1, 1964 in another Ascot 30-lap event. He won for the third time on April 3, 1965 at the long-gone Champion Speedway in San Francisco, near Candlestick Park. His winning ride that night was the No. 36 Bruce Bromme Offy. Later that year he won at Riverside and Ascot. 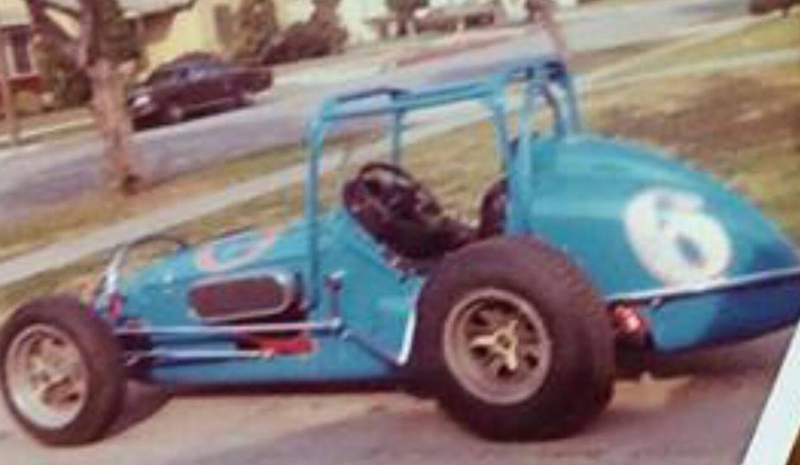 In 1968 Paul raced the Bromme Offy and the Woody Knox-Gary Hill Ron Ward-built chassis with Chevrolet power. 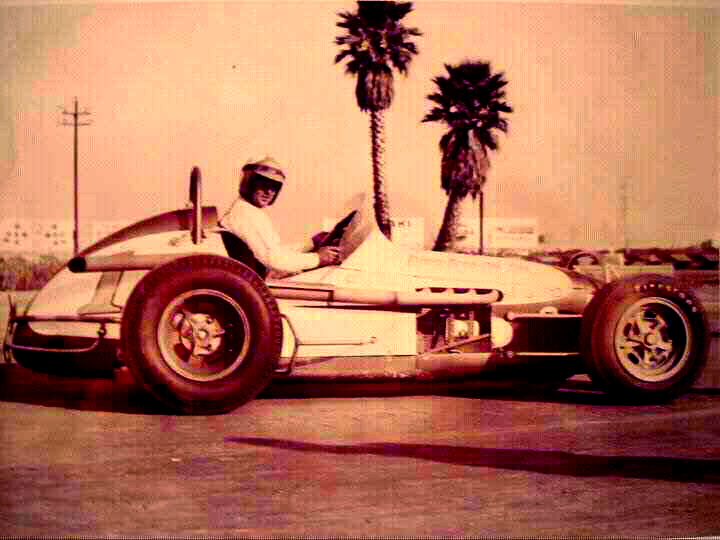 In the November 23, 1968 non-point 200-lap 1st annual Pacific Coast Championship open competition race, Paul started 23rd and finished second to Bob Hogle when fog curtailed the race after 194 laps. The Bromme -ride and Paul became the standard in owner/driver stability for most of the decade in an era of frequent ride hopping by drivers. Dean Thompson later landed that ride and won all of his 103 CRA mains in it and its successors, which Bromme built in his home shop. In 1971 Paul won CRA mains at EI Centro and at Ascot three times. He won his last CRA main event on November 24, 1973 in the annual Grand Prix event at Ascot Park in Gardena. Paul took both 50-lap features that night in the Bromme # 6. Paul's racing career was marred by two major crashes. In 1963at the 5/8-mile paved Hanford Speedway (formerly called Marchbanks Speedway) he was aboard the No.6 Darwin Maxson-Dean Jeffries Offenhauser. It was a winning car formerly driven by A. J. Foyt in USAC and one of the premier rides on the CRA circuit. On lap 47 of the 1DO-laprace Paul's brakes failed as he entered the third turn and he flipped spectacularly about 1DO-yards. He fractured his right leg and collarbone and spent many months in a cast that curtailed his CRA point chasing that season. Ironically, Paul's second major crash occurred in another Offenhauser. 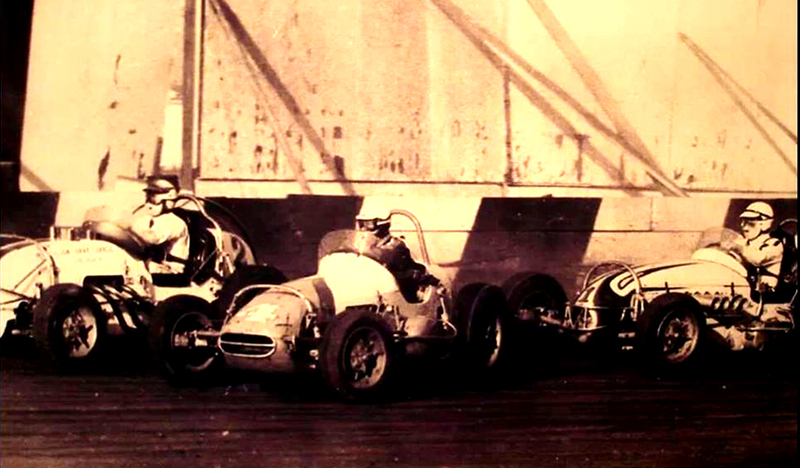 On October 29, 1966, in a USAC race at Ascot Park, cars slowed suddenly on the backstretch and Paul rode over a wheel. His No. 72 Edgar Elder Offy flipped end-over-end many times down the backstretch, up the third turn embankment and through a wooden billboard. The car landed outside the track, out of sight from spectators in the grandstand. Paul received a concussion, broken collarbone, broken ribs, fractured right wrist and badly broken arm that remained in a cast for five months. Paul's driving record following that devastating crash proved his resiliency and commitment to racing. Following his retirement from racing in 1974 Paul has not been a frequent visitor to races, either in the pits or grandstands. He and his family enjoyed his other racing pursuits with pigeons and quarter horses. He will be missed by all of us who enjoyed watching his many racing exploits. RIP Paul.